Here are some of the great things Greeks are already doing this week. #ItsOnGreeks! Northeastern’s Interfraternity Council has launched the #ItsOnUsNU campaign in order to share why Greeks recognize that it’s on them to make a difference by working to prevent sexual violence on campus. All week, they’ll be taking pictures of Greeks and other students taking a stand, showing why #ItsOnGreeks. 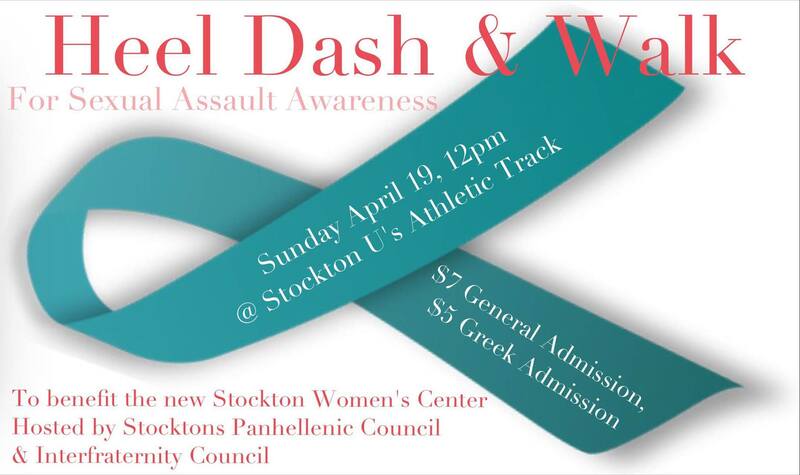 Stockton University’s Panhellenic and Interfraternity Councils have come together to bring awareness to sexual and domestic violence on campus with a great heel dash on the track! People of all genders will participate to raise money for the university’s new Women’s Center and the Atlantic County Women’s Center! Stockton University Greeks have recognize that #It’sOnGreeks! Together, the Greek community can play a part in the campus movement to prevent sexual violence. Reflection, followed by action, can truly lead to a difference on campus! This entry was posted on April 13, 2015 by fratconsent.